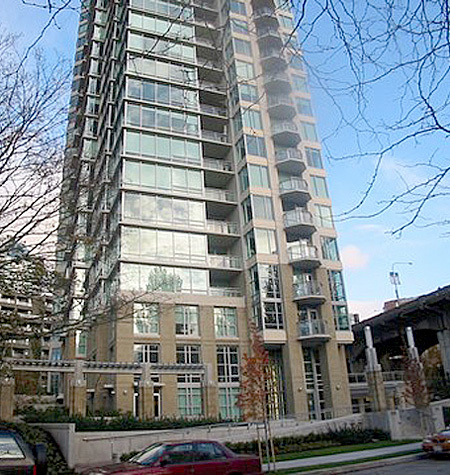 Building Highlights: Unobstructed panoramic WATER VIEWS from ENGLISH BAY. Luxury building built by award winning Concert Properties. Easy access to GRANVILLE ISLAND and YALETOWN. Excellent common area: lounge with pool table, fireplace, bar area, beautiful outdoor space, exercise room, hot tub, fabulous theatre room, meeting room. Strata Maintenance Fees Include: Air Condiioning, Clothes Washer/Dryer/Fridge/Stove/DW, Garage Door Opener, Heat Recov. Vent.